The celebrations begins Feb. 5. The biggest holiday of the year has begun in China. Starting Tuesday, relatives will reunite, red envelopes filled with money will be exchanged and massive feasts will be planned to celebrate the Lunar New Year. Millions of people are hitting the roads, rails and skies to return home as part of the world's largest annual mass migration of humans. Here’s what you need to know about the festivities. Lunar New Year celebrations occur across Asian cultures based on different dates, according to the local lunisolar calendars. China's Lunar New Year celebration is also referred to as the Spring Festival. Celebrations take place for 15 days. 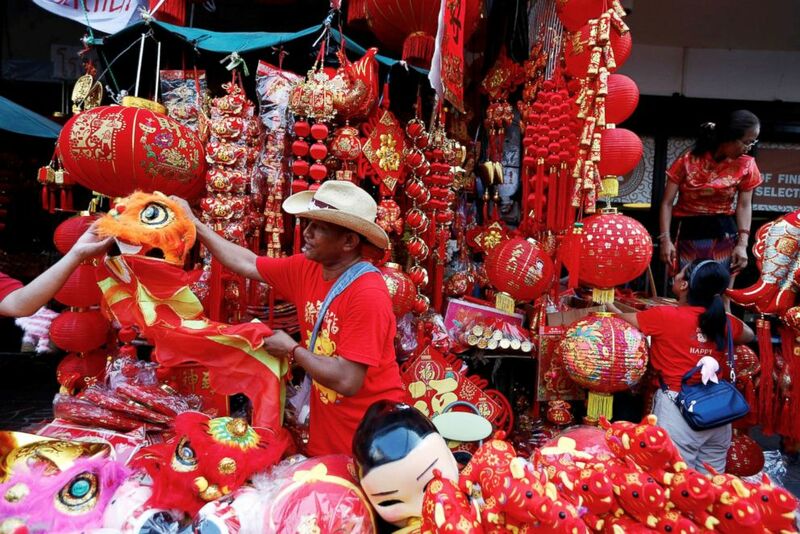 (Soe Zeya Tun/Reuters) A man sells souvenirs in Chinatown during the Chinese Lunar New Year in Bangkok, Feb .5, 2019. At the stroke of midnight, families set off firecrackers and fireworks to ring in the new year. Traditionally the fireworks were meant to chase away a mythical beast called Nian, which is believed to be the embodiment of bad luck. 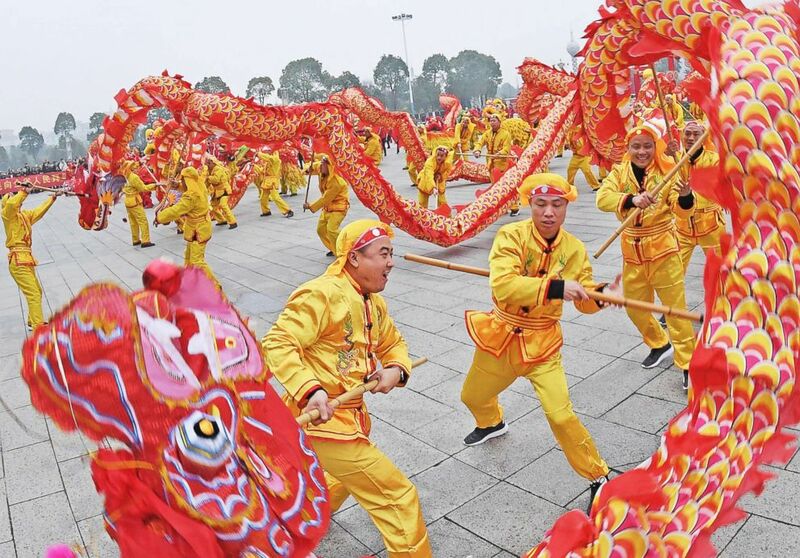 Traditional lion dances performed throughout China and the ethnic Chinese diaspora communities also serve the same purpose in driving the Nian monster away. Traditional customs include decorating one's home with red paper cuttings, couplets (vertical banners featuring two lines of poetry), lanterns and scrolls. What is the animal zodiac this year? It’s the "Year of the Pig." 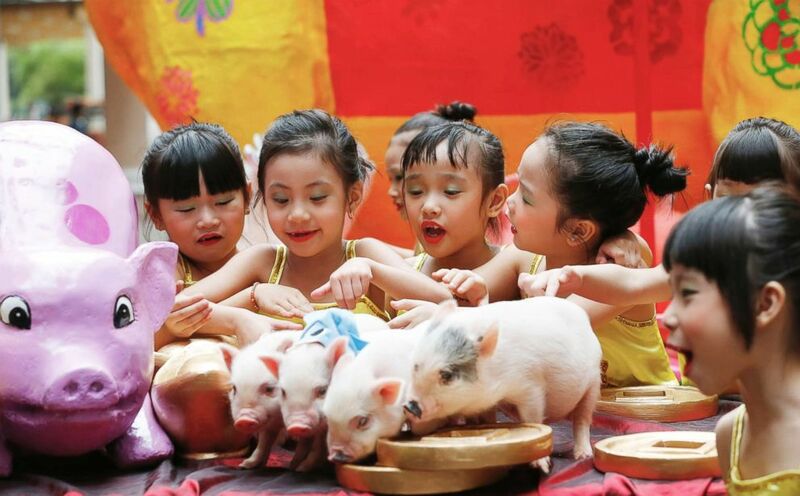 (Bullit Marquez/AP) Filipino Chinese girls play with live Teacup pigs, a rare pet in the country, ahead of the Chinese New Year celebrations at Manila's Lucky Chinatown Plaza in Manila, Philippines, Feb. 1, 2019. Past years of the pig include 1935, 1947, 1959, 1971, 1983, 1995 and 2007. Pig-shaped toys and movies are on high demand, according to some reports. The pig is the last animal in the Chinese zodiac and despite its slovenly reputation in the West, in the agrarian days of China the pig was seen and treated as a symbol of wealth. Their chubby faces and large ears are seen as signs of luck. Those born in the year of pig are described as hard-working, social, friendly and realistic. Arnold Schwarzenegger, Hillary Clinton and Ronald Reagan were all born in the year of the pig. Why are so many people on the move? Hundreds of millions of rural migrant laborers are the backbone of China’s economic miracle and many live and work in China’s ever-expanding urban areas. 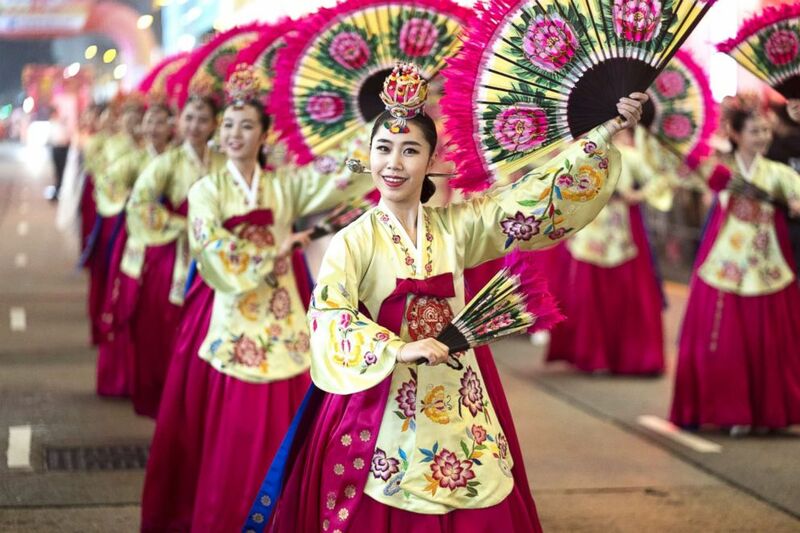 (Theodore Kaye/Getty Images ) Dancers from the Korean National University of the Arts perform on Feb. 5, 2019, in Hong Kong. Chinese traditionally travel home for the holiday -- one of the biggest human migrations on the planet. The government said it expects almost 3 billion trips this year, with the majority of them to be made by road and 413 million by rail, according to official media. (Xinhua/Liu Jigang via Newscom) Folk artists perform a dragon dance at Renmin park in Yichun, east China's Jiangxi Province, Feb. 5, 2019. Chinese residents travel as part of what is known as "chunyun," or the Spring Festival travel rush, which covers 40 days between Jan. 21 and Mar. 1. Woodworker Wu Xiaoxin will travel 26 hours by train to his home in Fuxin, in the northeast Liaoning Province, for the holiday. Having worked alone in Shanghai for 10 years, Wu told ABC News he was used to the long and exhausting commutes to see his wife and child. "Of course I’m happy (to go home) and tired at the same time," Wu said. "It’s a custom in China. I can only dream about getting home in a wink."